What is Lean & OEE? Lean is a systematic method for the elimination of waste within a manufacturing system. Lean also takes into account waste created through overburden and waste created through unevenness in workloads. We at AspectPT are always working from the perspective of the client who consumes a product or service, who would view “value” as any action or process that a customer would be willing to pay for. 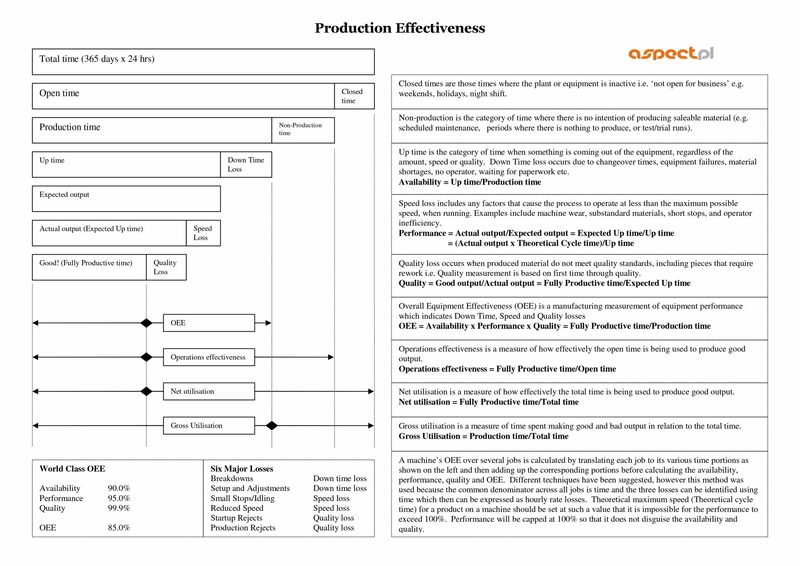 Lean manufacturing makes it obvious what adds value, by reducing everything else. OEE stands for ‘Overall Equipment Effectiveness’ – to evaluate how effectively a manufacturing operation utilizes its production equipment. It identifies the percentage of manufacturing time that is truly productive. For more information, the chart below illustrates what OEE is, how it can be measured in a business and the improvements it can provide to a company.